Irrational exuberance returns as automakers having had one good year in 5 expect the coming years to show double digit growth. Meanwhile the US economy shrank last quarter. 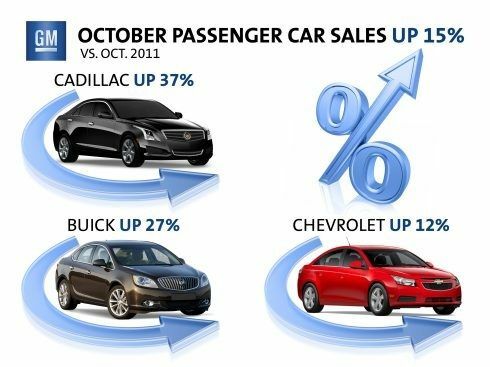 After the stock market halved its value, General Motors went through bankruptcy, and the housing market tanked, we auto buyers kept our heads down. Even those who could afford a new luxury car were not going to buy one. Who wants to look like the show-off stickin’ it to the little guy? We all held off buying cars for a variety of reasons. Then the government gave us all a bunch of our money if we would simply bring in our old beater and trade up to a 15 mpg truck. Of course we had to trade a 14 mpg truck, but that is what we all call progress. Then we all stopped buying cars again for a bit. Old Betsy finally gave up the ghost this year and off we all went again and we bought new cars. 14 million of us did it. More than most years in modern history. There is just one small problem. Look at any press release from any major manufacturer and it reads something like “We just increased sales a brazillion percent! Everyone must love our cars (just our cars). Therefore, we are building two new factories, hiring a raft of union laborers we will never be able to stop paying, and we are going to pay off the government all those billions they “loaned” us. Oh, wait, except that last part.” That’s right, from GM to BMW, every car maker in the world is forecasting huge sales increase again this year, after having huge sales increases. The fact that everybody they might sell a new car to just bought one is not a problem. Mr. Takanobu Ito of Honda at a press conference January 15th said the company will aspire to “grow from 4 million to 6 million vehicles annually between now and 2017.” Honda is coming off a 23.7 percent increase in sales year over year. The prediction therefore is that it took Honda 65 years to get to four million cars, but heck they can get to 6 million in the next three or four. Mr. Ito could be right. Ian Robertson, Member of the Board of BMW AG, Sales and Marketing BMW said this month "We are confident that we will continue our success in our largest single market in 2013. Here and worldwide, we are expanding our global vehicle portfolio with attractive new models such as the BMW M6 Gran Coupé and the BMW 4 Series Coupé.” Commenting on the general health of the US auto market Mr. Robertson said "In 2013 we expect a growth of approximately 5% in the total (US) market to approximately 15 million units." Let’s look outside the auto industry at how the customers for these cars are doing. Doctors are a good example of BMW drivers. New doctors in particular are fans of the 3 Series. How are they doing? I asked one doctor from RI if she knew what her industry group was predicting. In fact, she had at hand a chart showing the expected decline by percent for most medical specialties. General surgery is looking at a projected 12% earnings decline. The big news yesterday was that last quarter the US economy did not grow, but rather shrank. The December unemployment figure of 7.8 percent was also not great news. That was the same number as in September according to a report in the New York Times. Looking ahead, the US government is faced with either huge automatic budget cuts, or raising taxes – again. Taxes on all Americans just went up. Payroll taxes for the lower and middle class, and a spike of as much as 5% for the highest earning Americans. Locally taxes are also on the rise. The governor of Massachusetts has also announced in the past week that in addition to many taxes that will hit the poor in his state, such as a jump in the cigarette tax, all workers will see a jump of 16% in their state income tax if his budget is approved (An increase from 5.25% to 6.25%). Every person in the automotive community, from enthusiasts, to journalists, to those that work at the automakers hope that the universal prediction of a fantastic second year of growth comes to pass. However, with the US economy getting smaller, unemployment high and not decreasing, taxes for all Americans having just gone up, and even more taxes and budget cuts both on the table, it is hard to see who will have the extra money to buy another new car. Are we headed back to bailouts due to coming overcapacity? Reg; "bailouts due to coming overcapacity?" That is a leap, based on what? MFG's are deliberately limiting production to keep supplies at demand levels and the price at, or near full retail. Walk into a dealership and try to deal on a new car...Good luck with that these days.